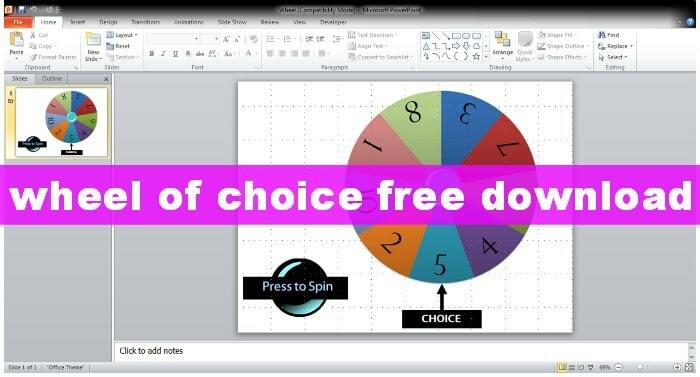 This simple yet cool one-slide PowerPoint lets you “spin” a wheel, and it even includes a satisfying “spinny” sound. To use it, just save the wheel by downloading it. If you want to use it for assignments choices, just list the corresponding assignments on the board or screen. I adapted it from this site, and there was a limit to my ability to change the picture to allow editing of the wheel itself. If you want fewer than eight choices, you can easily combine (1 & 5 are the same; 2 & 6 are the same, etc. ).